Alison Randall returns from her military service as an MP in Iraq wounded both psychologically and physically. She attempts to regain her health by becoming a yoga teacher. Her gradual recovery is jeopardized when she is approached by one of her students, Lauren Malcolm, who needs help finding her missing boyfriend. Ali reluctantly agrees to help with the search. It soon becomes apparent that Lauren’s boyfriend, Dr. Jim, a married but recently separated physician, has had a number of affairs with his patients, and is quite possibly being blackmailed by one of them. The question arises as to whether the doctor has been murdered or has chosen to disappear. As the dirty secrets in the doctor’s background are slowly revealed, Ali finds herself forced out of her comfort zone into reexamining her own past. 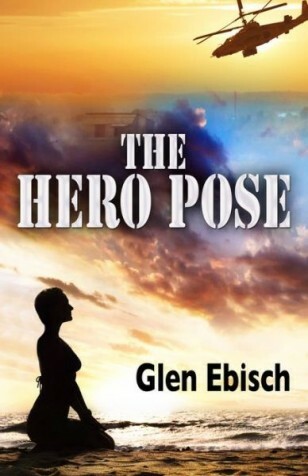 The Hero Pose is a fast-paced mystery with psychological depth and a dark sense of humor that provides an examination of the real costs of war.